ULTEM is a High-Temperature plastic with a significantly higher melting point compared to Delrin. ULTEM is also a very hard material, making it a suitable choice when threading into stainless steel. Give your Twisted Messes RDA a fresh look while enjoying the comfort of these caps. Choose between two color options below. I ordered a couple of these. I must say they fit great, produce great flavor, produce great clouds and very little spit back if any at all. 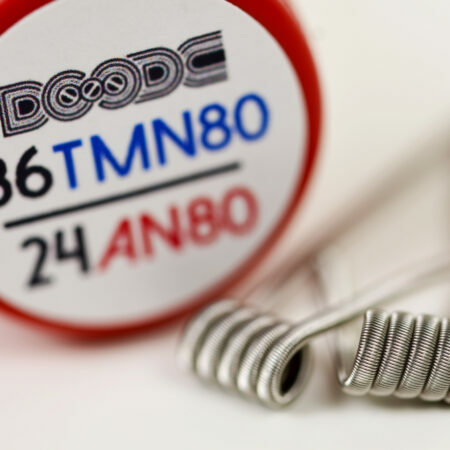 If you don’t have one of these, its a must have for your Twisted RDA.. I Bought both the Black and Gold ULTEM and they match perfectly with the proper AFC ring on the TM2. They are so comfortable to use and there is no spit back at all in my opinion. Perfect Flavor and Clouds they are very well made and thread in perfectly. Like Johnathon said above they are a must have for the TM2 and they look Amazing as well.